The Alamo Chapter partners with the San Antonio Living History Association (SALHA) to deliver presentations each year in Alamo Plaza, commemorating the Battle of the Alamo February 27, March 6 and during Fiesta and in La Villita commemorating the Battle of Bexar in December. In October each year the Alamo Chapter commemorates the 1835 Battle of Concepcion and the death of Richard Andrews, the first Texan killed in the Revolution. The chapter also commemorates the life and death of Ben Milam, hero of the Texas Revolution at his grave in Milam Park each December. On March 6th the we host the “After the Fall Of the Alamo” event on Alamo Plaza. 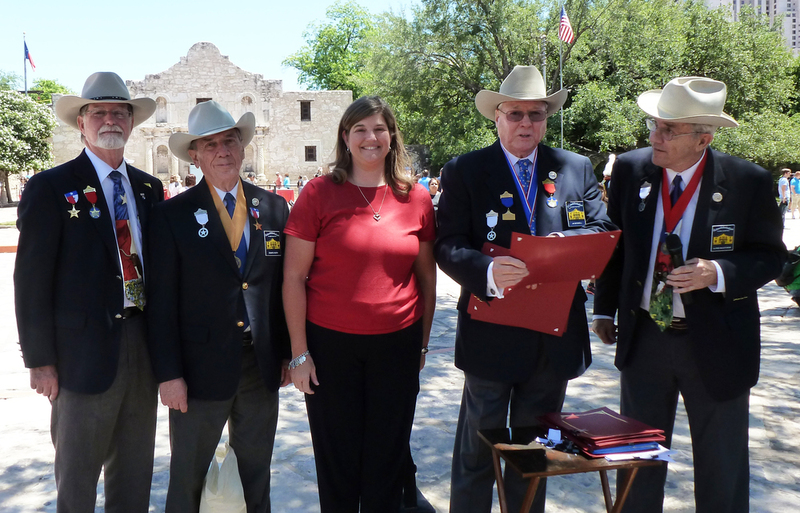 The chapter takes an active role in encouraging the City to improve the historic aspects of Alamo Plaza. In 2009 the chapter produced an SRT Proclamation regarding Alamo Plaza that was presented by Ken Pfeiffer to the City Council in 2010. In 2012 a new SRT proclamation was distributed to City Council by Ken Pfeiffer. The chapter has participated in the public input to guide the city in how to best improve Alamo Plaza. The chapter actively participated in the August 2012 Alamo Plaza Demonstration to further encourage the city in this vein. 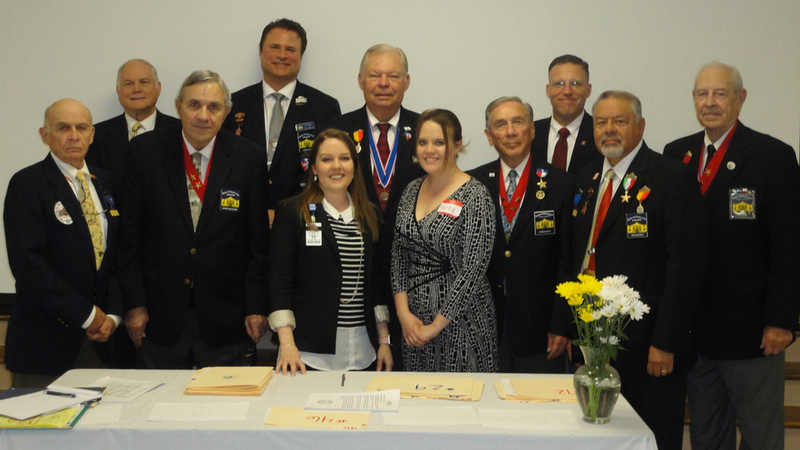 The chapter participates in several DRT events such as Texas Independence Day, March 6th Alamo Memorial, San Jacinto Day and The Pilgrimage to the Alamo during Fiesta. The chapter is interested in historical preservation projects like the relocation of the Alamo cannon now in La Villita to a suitable location in Alamo Plaza close to where it is believed they were during the siege and battle. “The Letter from the Alamo “ Essay Contest was the brainchild of Alamo Chapter member Dr. Gilbert Garcia, which over time eventually merged with the already highly-successful “Poster Writing Contest” started by Al McCutcheon & Bob Benavides. The programs have been extremely popular & have involved over 25,000 students since it's inception. The students were instructed to imagine that they were in the Alamo during the final days; cold, hungry, exhausted, missing their loved ones & knowing they will probably never see them again. One last courier was about leave the Alamo & the students were to write a final letter to their family; the author of the letter could be a real Alamo defender or a fictionalized one. Our goal was for the students to get as close to “feeling “what these men & women were going through, so they could truly understand their sacrifice. Along with historical accuracy, the letters were judged by their creativeness; how well did they reproduce the hardships, sounds, smells & emotions that must have overwhelmed the Alamo compound almost 200 years ago. The Alamo Chapter makes a donation to the history departments of all Middle Schools that participate.